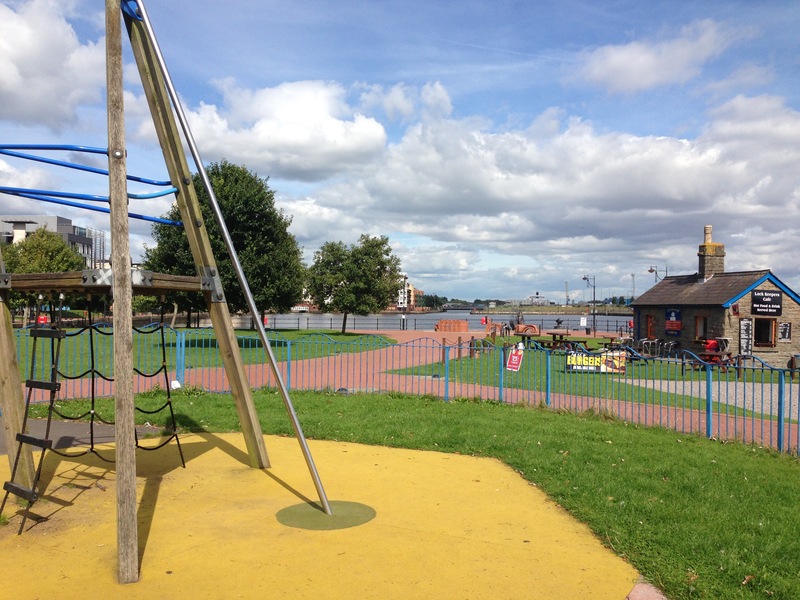 I used to live within walking distance from Cardiff bay…. If we wanted to nip to the local, the local was essentially the range of pubs/bars/restaurants in Cardiff bay. So I have LOTS of drunken memories there, from sunny all-dayers to Christmas parties in the comedy club. Fast forward a few years and I popped down there a few weeks ago with W for our usual Friday trip! 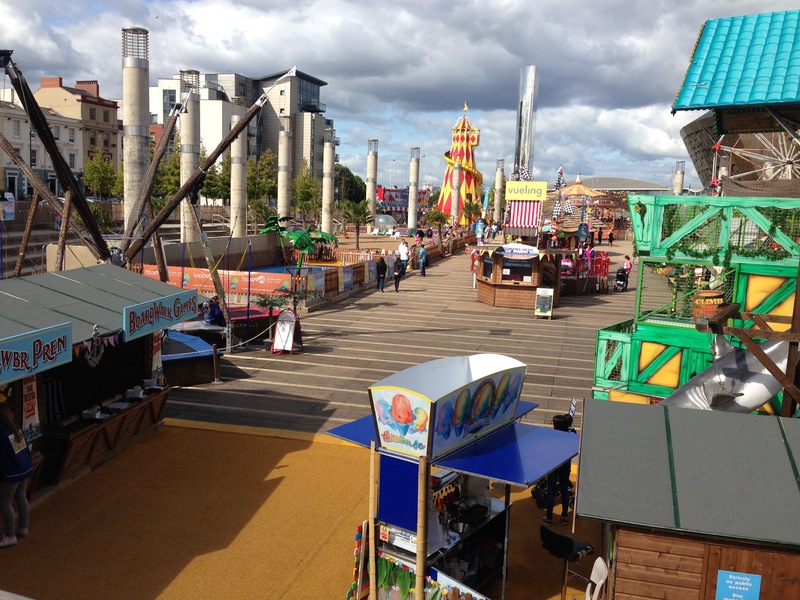 It was the last day of the summer long Cardiff Bay beach which I thought was ok, better for older kids. W is at that stage of running off everywhere so I would have enjoyed it more if the area was enclosed and he didn’t keep running off towards the deep water of the bay! After a runaround the ‘beach’ i popped him back in buggy and headed to the Wales millennium centre. Should have taken a photo but it’s a lovely armadillo-type building which hosts shows etc. it has a large indoor lobby and I knew they had a kids area. This seemed to be having a bit of a refurb but they did have 2 tables of Lego out so W was in his element just playing with these new toys! Again, he eventually kept trying to escape (I really need to sort this out haha!) so it was time to leave (would Defo take him back there on a rainy day!!) 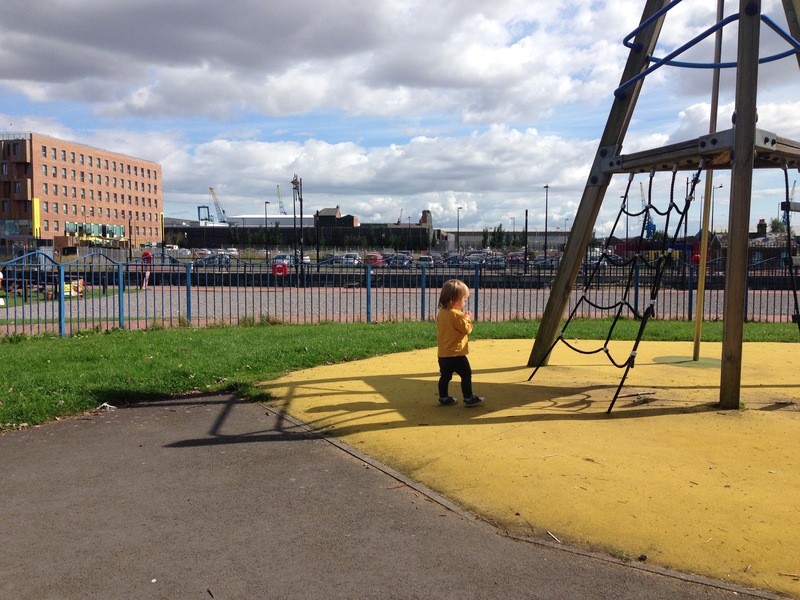 and I thought I’d push him across the beautiful barrage where I knew there was a play area…. On the way there I stumbled upon a little park that I’d never noticed before, nestled between a pub I used to frequent and the Norwegian church. It was perfect for W… Not too big but enough space to run around, totally enclosed and we had the place to ourselves! 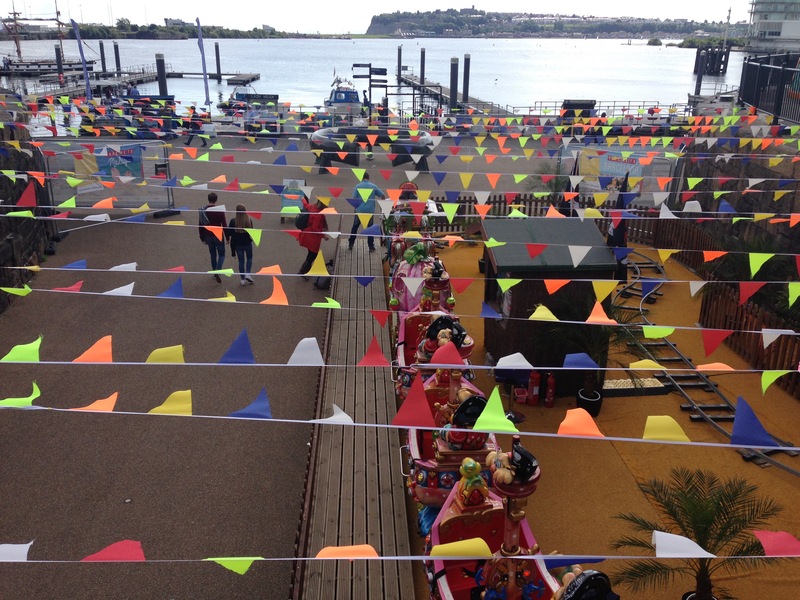 I keep meaning to take a trip down to Cardiff Bay with Iris! I want to check out Techniquest and the millennium centre. Good to know it’s fairly toddler friendly – apart from the deep water!